Karin and her company are known for designing high performance, cutting edge tenkara rods, being innovative and pushing the boundaries of this reel-less method. She’s been accused of creating a fusion style of fly fishing and chases large, powerful species, all over the globe. 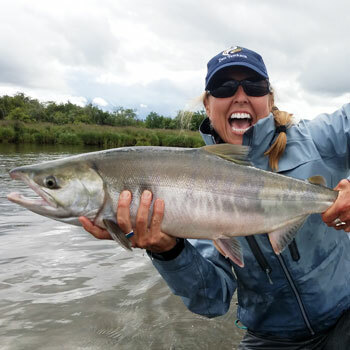 Karin has landed tarpon, bonefish, permit, shark, barracuda, carp, sockeyes, silvers and chum salmon all on her tenkara rods as well as plenty of trout.